In this day and age, when the words “speed reading’ are spoken, there is a wide variety of ideas about what it is. Some think, like Woody Allen, that speed reading is like “reading War and Peace in 5 minutes. It’s a book about Russia.” This popular quote intimates that a person can read this 1475 page book (paperback version) in just 5 minutes! Others think speed reading is just getting the gist and not reading any detail. While others believe speed reading doesn’t work because you don’t have comprehension. I am sure there are other ideas out there but in my 25 years of teaching speed reading, these are the most prevalent. Though the concept of speed reading germinated in the late 1800’s with eye movement research by Emile Javal, the term became popular in the mid-1950’s because of a woman named Evelyn Wood. Evelyn Wood was a mild-mannered school-teacher with a passion for underachievers and reading. She had been committed to understanding why some people were natural speed readers, and was trying to force herself to read very quickly. While brushing off the pages of the book she had thrown down in despair, she discovered, quite accidentally, that the sweeping motion of her hand across the page caught the attention of her eyes, and helped them move more smoothly across the page. That was the day she discovered the hand as a pacer, and called it the Wood Method, later known at Evelyn Wood Reading Dynamics. 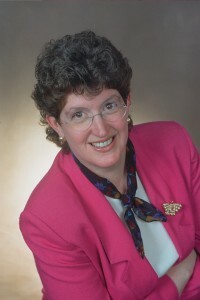 Evelyn Wood’s speed reading courses were offered through franchise offices throughout the United States and were taken by students, business people and other interested folks. The course taught people how to use their hands to read and how to take notes from reading material. Many students would increase their reading speed, frequently over 1500 words per minute, but find afterwards that the speed was not sustainable. I believe if a person could just double or triple their current speed (average is 250 words per minute AND sustain it, most people would be quite happy. Evelyn Wood passed away in 1995. Her legacy lives on through her speed reading books and tapes/CD’s . Even before her passing, the world of reading was undergoing change. We were coming into a full-blown information age where information and its resulting knowledge is regarded as king. Information is available in print as well as online. We have books, magazines, newspapers and their digital counterparts: e-books, e-zines and e-newspapers. Additionally we have email and internet websites to occupy our reading time and iPads, iPhones and other e-readers to put our eyes on. We have all this to read yet we are using reading skills learned in elementary school. Very few schools offer developmental reading training past 6th grade so we are left to our own devices on figuring out how we are to manage all this reading. There clearly is a need for more reading training. Reading in general, and speed reading in specific. There are five things readers need to know. First, readers need to know how their eyes and brain work in the reading process. They will then understand how increasing their peripheral vision or smoothing out eye movements can have a powerful impact on one’s ability to see more words at a time resulting in faster reading speeds. Faster speeds foster higher levels of concentration which in turn creates comprehension and then retention. Second, readers need to be aware of their own built-in reading stick shift. This stick-shift is comprised of five gears with one being the slowest and gear five being overdrive. Most readers are stuck in the slower first or second gears because they don’t know HOW to get into gears three, four or five. A novice speed reader should understand that everything doesn’t need, nor should be, read quickly. Once they learn speed reading strategies, they will then have faster reading choices of gears three, four and five. Reading speed becomes a conscious choice based on many things including what you are reading, how familiar you are with the content, what strategies you want to use, how you are feeling, where you are sitting and more. Third, readers need to know that speed reading is NOT speed looking! Looking at words quickly but not understanding what is read is just that – speed looking. The point is that when are learning how to improve your reading skills, you are retraining the eyes and brain to communicate differently. Yes, the brain TEMPORARILY takes a comprehension vacation BUT it doesn’t last long. The brain is smart and it catches on in a short period of time when the eyes are reading more words at a time. Fourth, readers can learn how to focus better through the use of speed reading strategies. In this multi-tasking day and age, we are hard-pressed to just sit quietly and just read. By using speed strategies, especially those that use your hands or a white card, you naturally tune out the mental chatter forcing you to concentrate better when you read. These methods are adapted for use on a computer screen enabling readers to speed read there as well. Finally, readers need to know that there are other conscious choices they can make to produce more efficient reading. One idea is to only keep in your reading pile those things that you find valuable. Too many people keep more reading material than they should because they just don’t evaluate their personal interest in it. “It’s there so I should read it.” Keeping your pile full of personally interesting material will prevent you from being stressed by the size of your pile(s) and encourage you to find more time to read. So Evelyn Wood was on the right track. Good speed reading training will teach a reader who they are as a reader and what they can do to improve it. There now just needs to be a greater understanding and more training about what constitutes effective and efficient reading once we leave 6th grade. Abby Marks Beale is America’s #1 Speed Reading Expert. She is the author of 10 Days to Faster Reading, The Complete Idiot’s Guide to Speed Reading and the creator of the Rev It Up Reading Online Speed Reading Course. For more, please visit www.RevItUpReading.com.